I LOVE eating spicy food so am obviously really excited to see that there is some research showing consuming red chili peppers may actually have more health benefits than I thought! I always knew red peppers were high in vitamins and minerals because of its bright red color, but research is now also showing other health benefits from red chili peppers derived from its high concentration of a substance known as capsaicin found in the pepper family of vegetables. Chili peppers have been planted as a crop for the last 6,000 years. They were first discovered in Central and South America and slowly introduced to other parts of the world like Europe, India, China and other parts of Asia. The active compounds of chili peppers that provide the spicy pungent flavors are called capasaicinoids. When chili peppers are consumed, capsaicinoids bind with pain receptors in the mouth and throat that are responsible for sensing heat. These receptors are then activated and send messages to the brain that the person has consumed something hot and the brain responds to the burning sensation by raising the heart rate, increasing perspiration and release of endorphins. Hence– the pungent and spicy reaction you feel when consuming them. 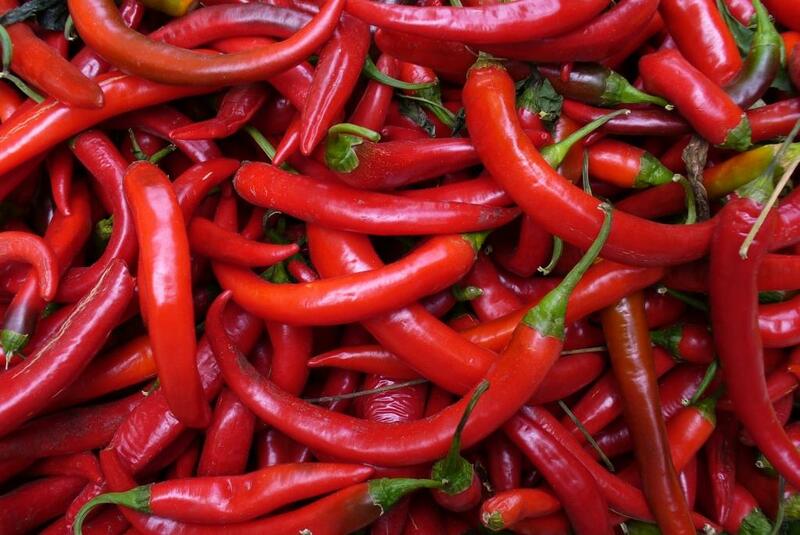 Chili Peppers, especially red ones are high in vitamins and minerals. They are a good source of Dietary Fiber, Thiamin, Riboflavin, Niacin, Folate, Iron, Magnesium, Phosphorus and Copper. Additionally, they are a very good source of Vitamin A, Vitamin C, Vitamin K, Vitamin B6, Potassium and Manganese. What is most interesting is that one small chilli pepper provides more than 100% of your daily needs of Vitamin C! Do you still need more reasons to like spicy foods? Well in case you do, I have a few more additional health benefits to share. Immunity. The bright red color of red chili peppers indicates its high content of beta-carotene or pro-vitamin A. Vitamin A is essential for healthy epithelial tissues including the mucous membranes that line the nasal passages, lungs, intestinal tract and urinary tract and serve as the body’s first line of defense against invading pathogens. Moreover, red chili peppers are an excellent source of Vitamin C which is not only an antioxidant, but has been shown to stimulate while blood cell production which helps to fight infections. Heart Health. Some studies have shown that capsaicinoids from chilies can lower blood pressure and blood cholesterol. A team of researchers from Hong Kong found that capsaicin and a close chemical relative boost heart health in two ways. First, they lower cholesterol levels by reducing accumulation of cholesterol in the body and increasing its breakdown and excretion in the feces. Second, they block action of a gene that makes arteries contract, restricting the flow of blood to the heart and other organs. The blocking action allows more blood to flow through blood vessels. While the evidence supporting heart health seems promising, these studies have mostly been conducted via animal studies so we need more research testing the effect in humans before we know for sure how beneficial capsaicinoids can be in humans and whether or not supplements and actual red peppers pose any difference in effectiveness. So for now, I would avoid taking capsaicin supplements, but if you eat the real thing you could hope to see some positive effects when it comes to your heart health. Weight loss. While red chili should not be used as a weight loss supplement, there is some evidence that capsaicin can either help reduce hunger and/or increase energy expenditure. There’s a few caveats to these findings. First, studies that found that red pepper increased energy expenditure, used an amount that was not acceptable for the average American. 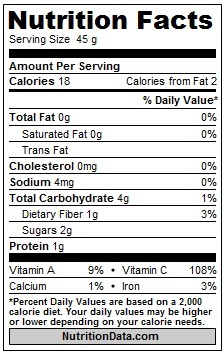 (10g/meal). Second, other studies looking at appetite and hunger actually found that the effect of curbing appetite was much stronger in individuals who were not used to eating spicy foods. So for those of us that can eat enough red pepper to help increase energy expenditure, we probably would not also get the benefit of reducing appetite and vice versa. In addition, the research shows that using capsaicin supplements you lose the effect because part of the effect is caused from the heat and spiciness reactions from eating chili peppers which is lost through supplement use. So, while this is no miracle diet food or supplement for weight loss, for some of us eating red chilies we might have some additional benefit related to weight loss, whether it’s through reduced appetite or through increased energy expenditure. Pain Relief. Capaisin used topically has been shown to be an effective treatment for cluster headaches and osteoarthritis pain. Additionally, it has been shown be an effective treatment for pain management for diabetic neuropathy. The main side effect reported with topical capsaicin cream is a burning sensation at the area of application. Spice up your food and enjoy red chili peppers either raw, dried, or sprinkled on top of your favorite foods. You could use dried cayenne pepper spice, red crushed pepper, chili powder, or paprika. Remember, Crushed/Ground red pepper and cayenne pepper spice have the most antioxidants, and then chili powder and paprika. In South Asian and Asian cooking, you can just toss whole chili peppers or dried chili peppers into your dish while cooking to release the flavors while cooking. When using dried cayenne pepper or crushed red pepper, try adding it to any sauteed vegetable dish, on top of pastas, sauces, pizzas, or in curries. I also love adding cayenne or ground red pepper to any greens with a hint of fresh lemon. 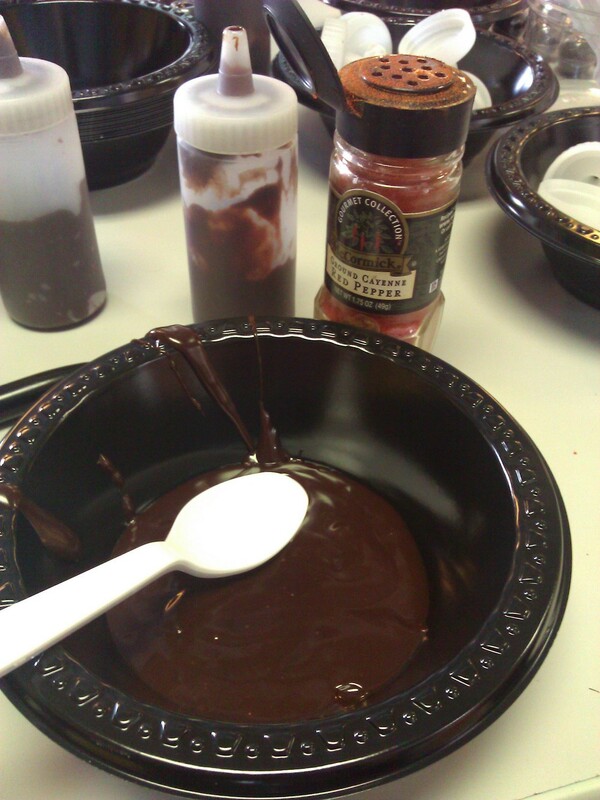 Cayenne pepper also tastes great mixed in chocolate– add it to a dark chocolate ganache, hot chocolate, etc.